Inferno 1.2 is bringing some serious changes to mining in EVE Online. CCP is going to buff Mining Barges and Exhumers to be much more resilient in Inferno 1.2. The complete list of changes in Inferno 1.2 is available for reference in my recent post about it. All the data come from build 7.43.401066 on Singularity. At first it made sense to me: to build a ship that can withstand more damage, more material is required. But the table in the previous paragraph clearly shows, that the change can be speculated (best with Procurer). For this to work, one needs to prepare before patch is deployed. Simply build as many Procurers as possible, using a high ME blueprint, or just buy as many Procurers as possible from the market. After Inferno 1.2 is deployed, all these ships should be reprocessed (perfect refining is required to maximize profits). This will generate about 20 to 50 times more minerals than used for their production before patch. You can sell them for profit after Inferno 1.2 has been deployed. Please close this loophole before Inferno 1.2 deployment! This is crucial. The idea of changing the amount of minerals used for manufacturing of Mining Barges might seem great from roleplaying point of view, but from design point of view is flawed and will create a very powerful exploit for players to (ab)use. This is not an exploit. Where has my mistake been? Extra Materials of course. Some blueprints require more materials than the item itself contains - these are called Extra Materials. So by using Extra Materials rather than changing the amounts on the blueprint itself, CCP actually prevented the exploit which I was initally so vocal about. Show Info should show difference between "Required Materials" and "Extra Materials". It currently shows the sum of both. You always speculate at your own risk. 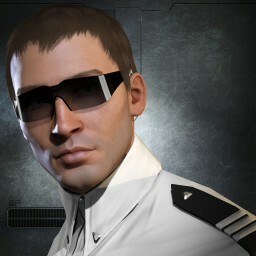 EVE Online changes a bit with every update, and it is often possible to make some ISK on these changes. There is always some risk involved: either CCP rolls back the change, or if too many players speculated, prices fall because of market saturation. The increased materials are on the blueprint, not the type, which means you can’t recycle them for profit. You can, however, sell them for profit, though.